A mandate aimed at helping new moms was the catalyst Joy Kosak and Debra Abbaszadeh needed to take their business, Pumping Essentials, in a new -- and potentially more profitable -- direction. The two already had a successful business selling pumping bras, but once they heard that the Affordable Care Act would mandate insurers to pick up 100% of the cost of breastfeeding supplies and lactation counseling, they came up with a grander plan: to collaborate with insurers. "We bundle the breast pumps, supplies and education into one package that's easy and convenient for insurers to provide," said Kosak. 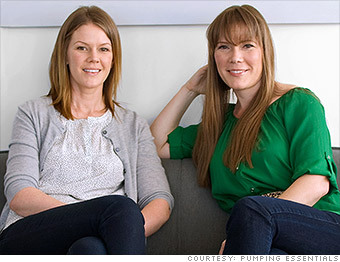 The sisters invested $500,000 of their own money to purchase pumps and hired consultants to help navigate the industry. Insurer Health Net signed the Sacramento-based company as a vendor in April. The founders said they're in talks with other major insurers as well. "Our goal is to have contracts with all the big insurers by the middle of next year," said Kosak.